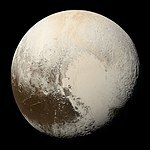 – discovered on January 1, 1801, 45 years before Neptune. 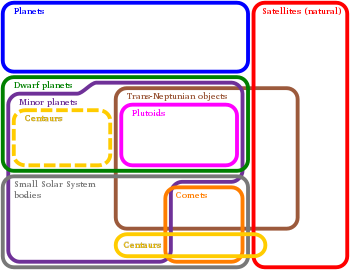 Considered a planet for half a century before reclassification as an asteroid. 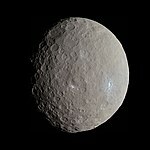 Accepted as a dwarf planet by the IAU on September 13, 2006. 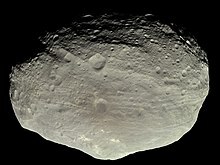 Vesta, the next-most-massive body in the asteroid belt after Ceres, is roughly spherical, deviating mainly because of massive impacts that formed Rheasilvia and Veneneia crater after it solidified. 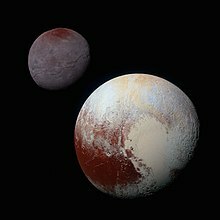 Furthermore, its triaxial dimensions are not consistent with hydrostatic equilibrium.Triton is thought to be a captured dwarf planet. 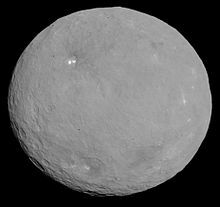 Phoebe is a captured body that, like Vesta, is no longer in hydrostatic equilibrium, but is thought to have been so early in its history.